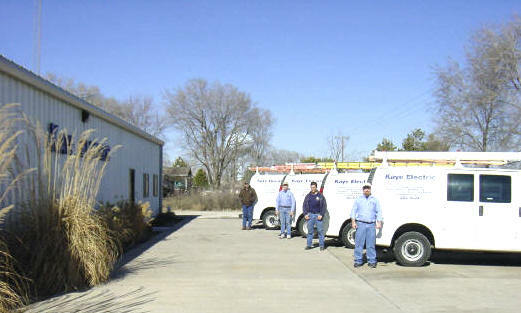 We have been serving central Kansas for the past 40 years. We are not only for your electrical needs. We also Install Honeywell security systems for both residential and commercial, CCTV security camera systems with DVR's, Panasonic and NEC phone system, Fiber Optics, Ethernet cabling and certifying Cat 5E and Cat 6 cables. We offer free estimates, and strive to offer competitive pricing. We can accommodate both large and small jobs. We also hold a NICET Level 2 certification so we can test and install your fire alarm system. CAD drawings for all new systems are made by NICET Level 4 personnel. We have been installing Honeywell (Ademco) security systems for 20 years. From small residential systems to large commercial ones.